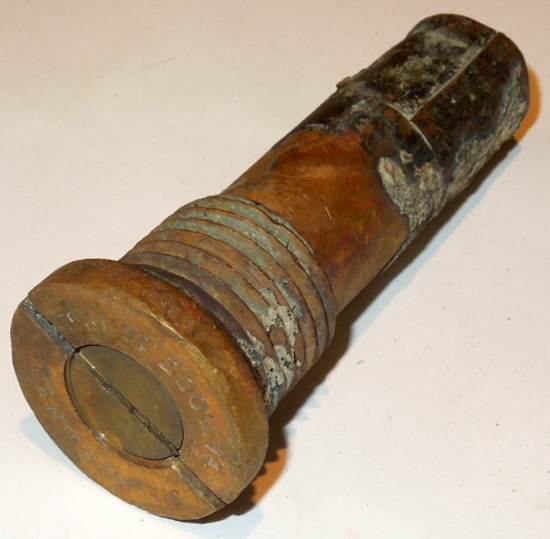 Description:3.4 inches long owing to the extension tube on the bottom which was designed to get the charge down into large shells. A few of these came out of Mare Island during one of the cleanups there. These had been pumped up onto land when the river was dredged to accomodate submarines in the '30s. You can see the calcium concretion in a couple places which can be removed if desired. 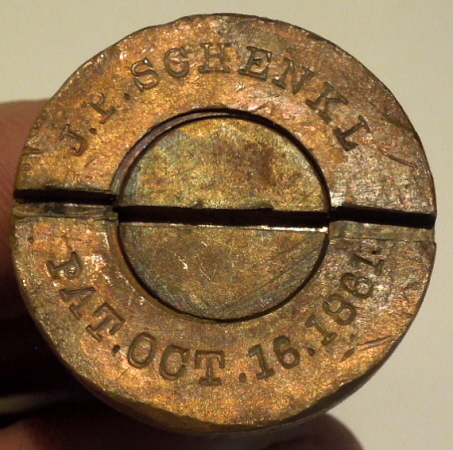 1 inch diameter at the threads and 10tpi which is the same as the normal army Schenkl percussion fuse. It is just 3/4ths of an inch longer than the common one on account of the booster extension. Still has the safety set screw in the side which you only see on non fired Schenkl fuses.